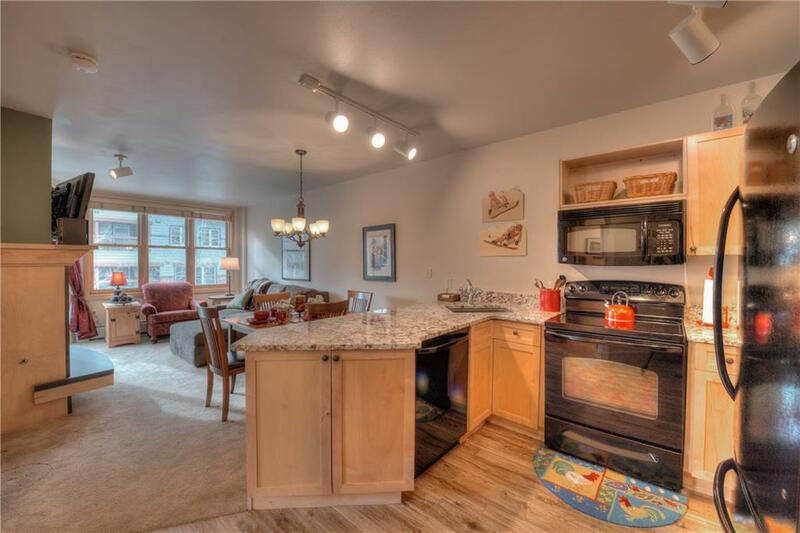 This beautifully remodeled condo is a few steps from the Keystone gondola. Boasting granite counters, wood- design floor tile, new furniture & a pleasant deck with ski slope views. Walk out the door to dining, shops, & don’t forget… Starbucks. Park in the underground garage & let the shuttle service take you to adventures in Keystone Resort. Skiing/Boarding at your doorstep, mountain biking, concerts, festivals, art shows. Ahhh, Resort Living. See photo tour link.